Pretty, pink, purple, and personalised! 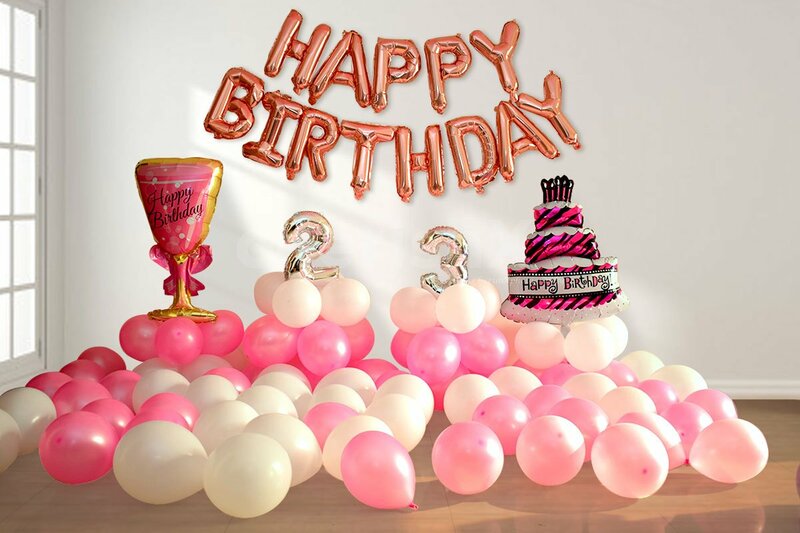 The perfect decoration for your perfect birthday girl. 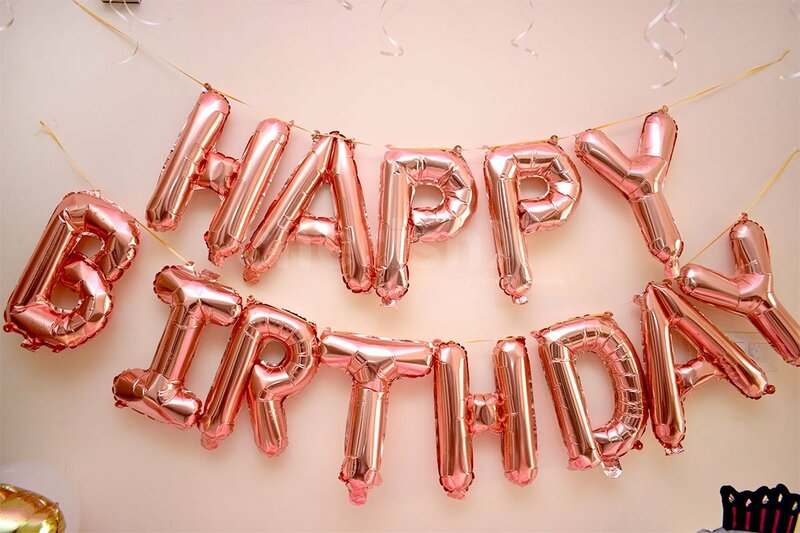 Is there a leading lady in your life, whose birthday is approaching? It could be your mom, your sister, your best friend, your girlfriend, your wife, or your daughter! 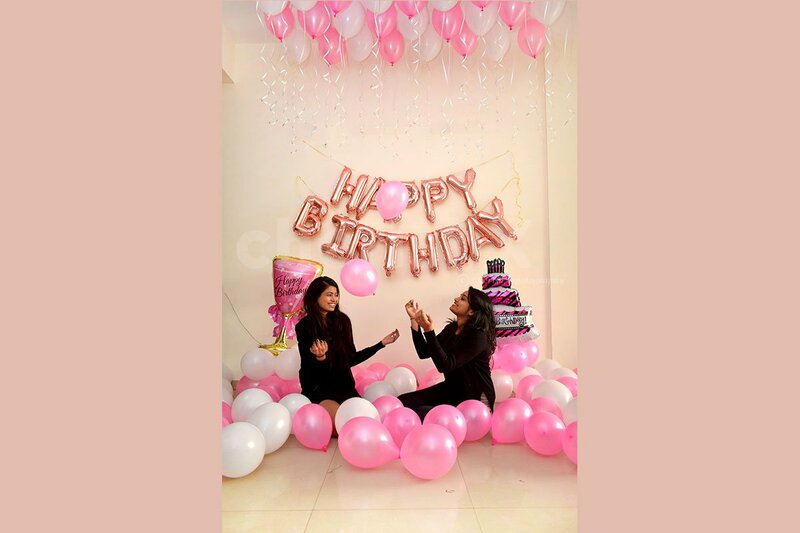 Make them feel special and sweep them off their feet with our glorious pink themed birthday decor package. 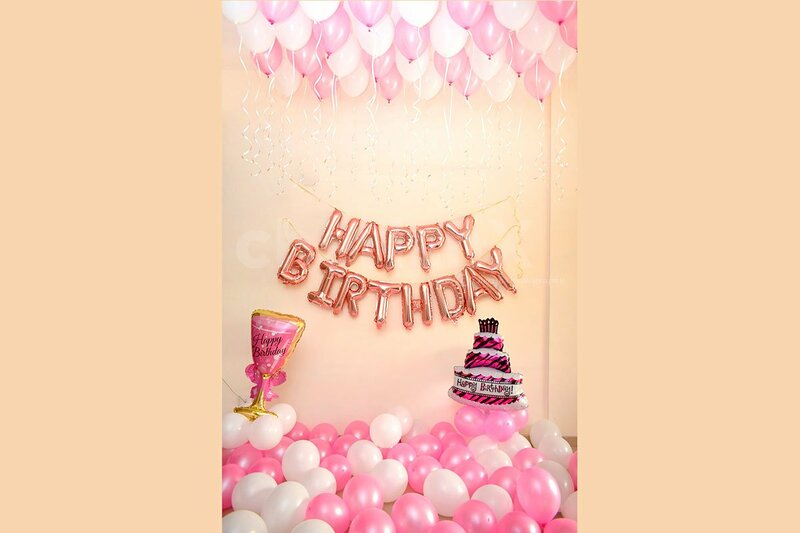 This amazing decoration comprises of 30 pink and white latex balloons stuck to the cieling with soft removable tape, with beautiful ribbons dangling from them; 1 happy birthday foil balloon, 20 pink and white balloons strewn delicately on the floor, 1 foil balloon in the shape of a cute cake, and 1 foil balloon in the shape of a champagne glass. The decoration will be done at your home or at a location of your choice. 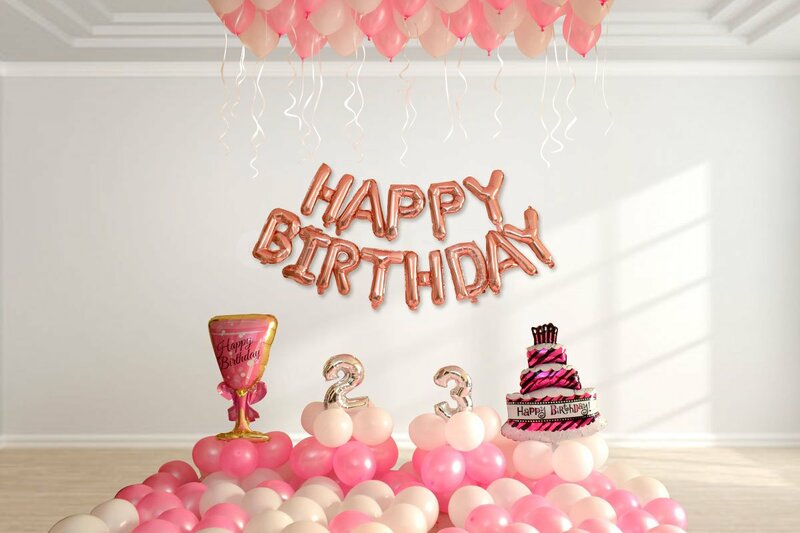 Make your loved one feel like an angel with this special and premium balloon decor! 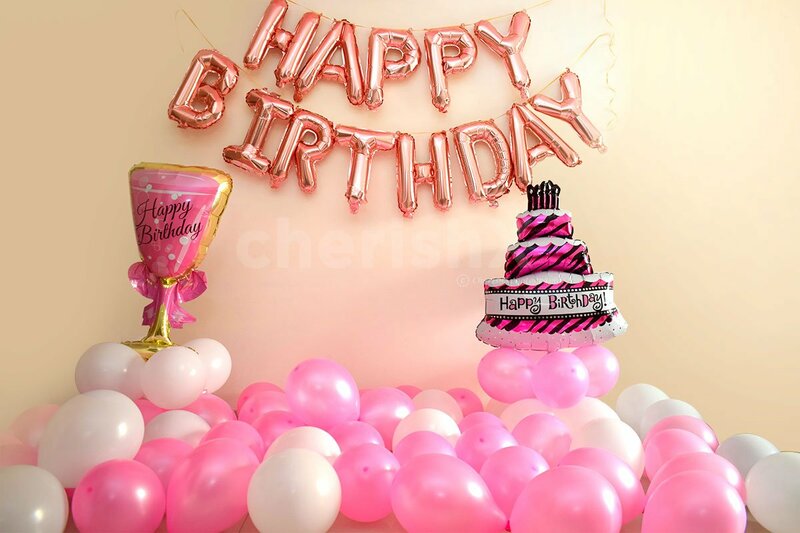 Birthdays are occasions of joy and bliss and the moment you wish your loved lady and shower blessings upon her should be nothing short of grand. So we suggest you leave no stone unturned in turning this event into an unforgettable one. We believe that when you are planning a special occasion, the bigger you go, the better it gets! Which is why we bring to you our exclusive customisations, crafted with love, just for you! 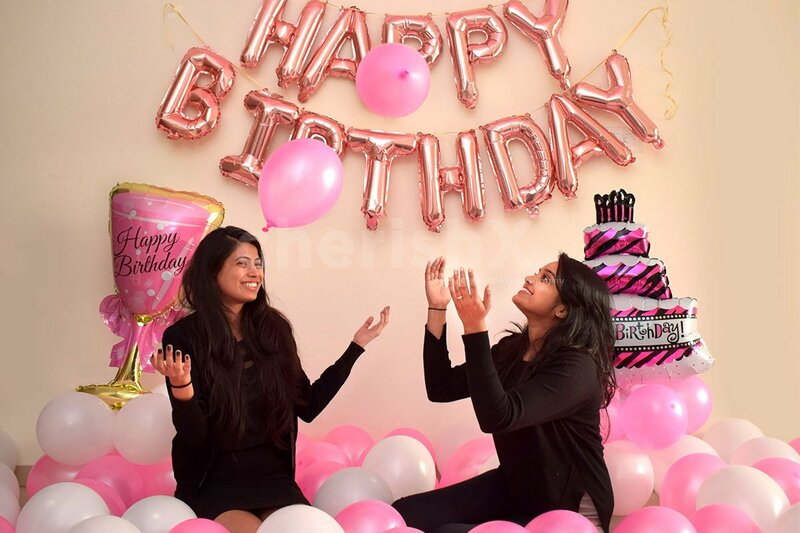 You can choose to have letter foil balloons and spell out a sweet message, add a number centrepiece depicting the age of the person, add a beautiful decoration of candles and flower petals, add and LED light string, and much, much more! 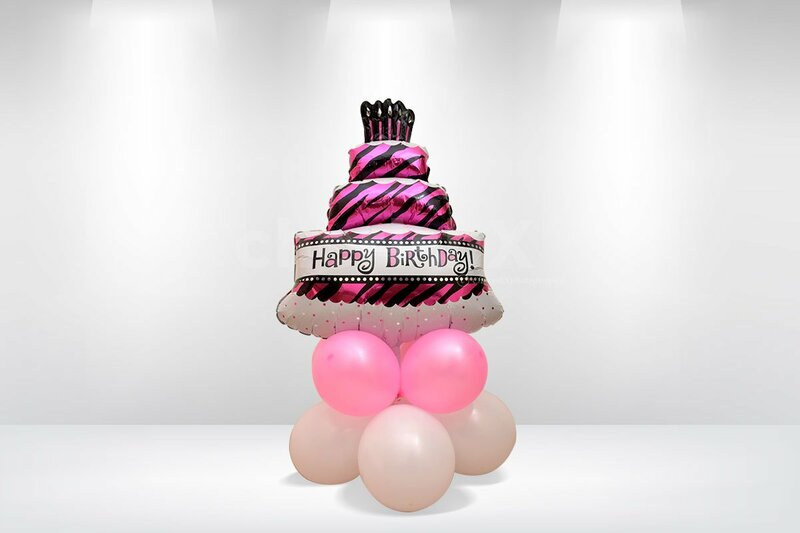 Sweeten the occasion with a delicious birthday cake and impress the birthday girl with a gorgeous bouquet of roses! 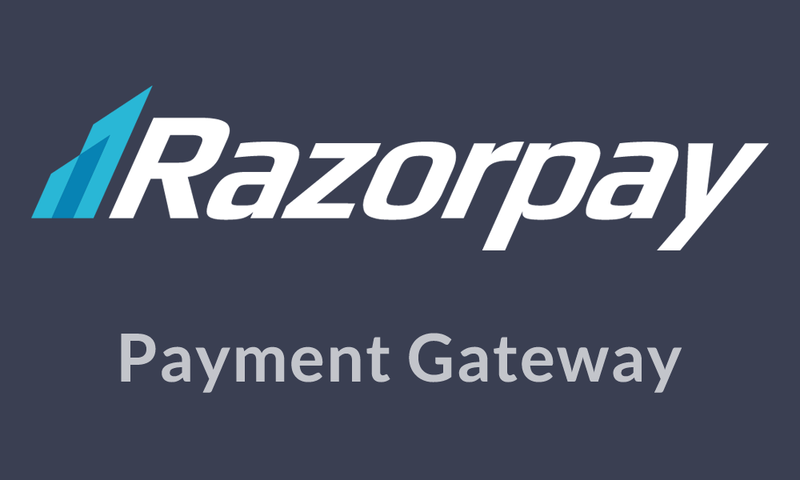 Just check out our premium add-ons below, and choose whatever you like! 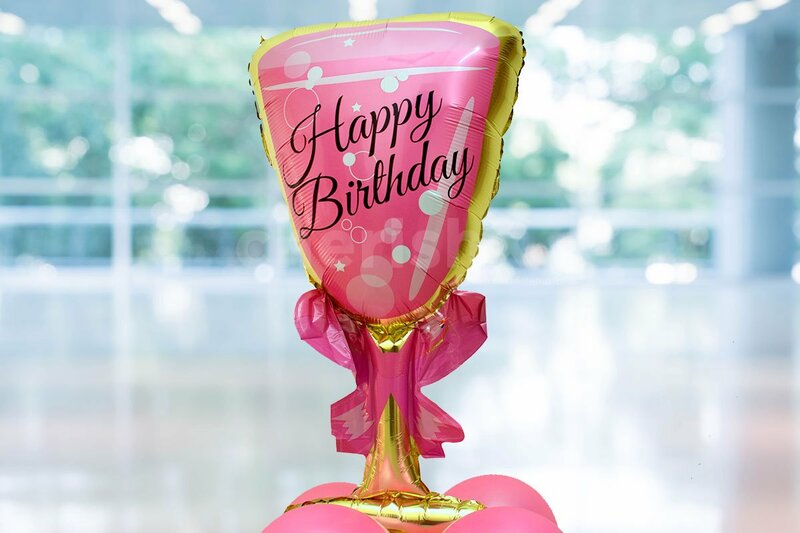 Beautify your decor with a gorgeous PINK champagne glass!